Thank you for visiting our website. If you require an electrician in Dublin 16 we would be happy to assist you. Our company provide a complete range of electrical services from changing a socket to full building rewiring. 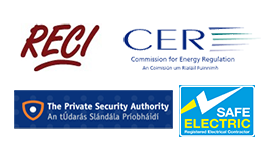 Emergency electricians in Dublin 16 area. 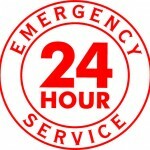 We have our emergency electricians staff on call 24/7, 365 days a year to assist you with any unforeseen electrical issues that may occur. If you decide to call us we can normally have a local Dublin 16 electrician who is able to attend your home or business within a couple of hours (traffic permitting), sometimes a lot quicker. All of our staff have full qualifications and have vast experience in both domestic and commercial electrics. Most have in excess of 15 years of expertise tackling all types of electrical situations and solving the issues. All of our staff are fully accredited (RECI) and our company has public and professional indemnity insurance to the sum of 13 million euros for your peace of mind. We have an excellent reputation for providing complete customer satisfaction and are very competitively priced. We, unlike a lot of electrical companies are happy to advertise our prices on our website. When we start a job we ensure that the job is finished to the highest standards. This means you can sleep soundly knowing that you will always be completely happy with our services. We cover all of the following areas. Ballinteer, Ballyboden, Kilmashogue, Knocklyon andRockbrook. Our staff pride themselves on honesty and hard work ethics. We operate our business as o transparently as we are able. We always do our best to offer our clients the sharpest possible price for the best electrical services available. This ideology has been the foundation upon which we have built our reputation over the three decades we have been trading in Ireland. Our Dublin 16 electricians do not operate a call out charge our charges only start when we arrive and commence diagnosis/work. We are always happy to give expert advice and quotes without obligation. If you require urgent emergency help, a free no obligation quote or some expert advice from our D16 electricians, just give us a call today on 01-6874854. Your local team of electricians for all of your electrical services.